and what better way to celebrate than with a marsala-inspired post!? 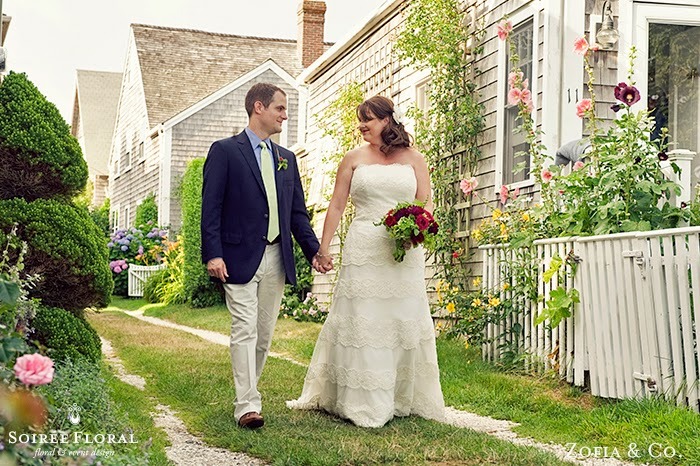 This romantic wedding took place at the Chanticleer restaurant out in 'Sconset Village. 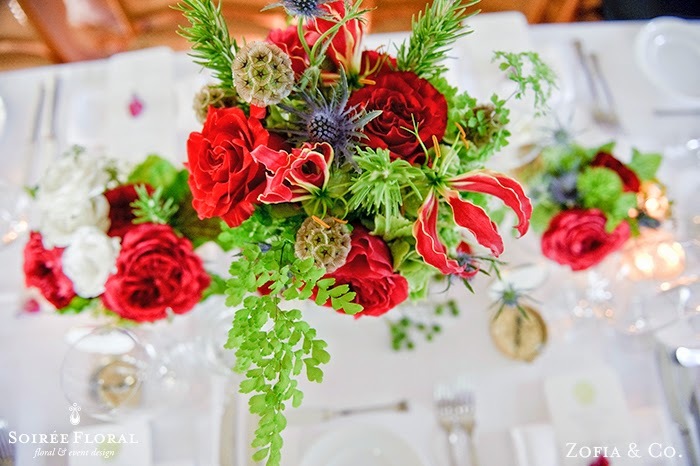 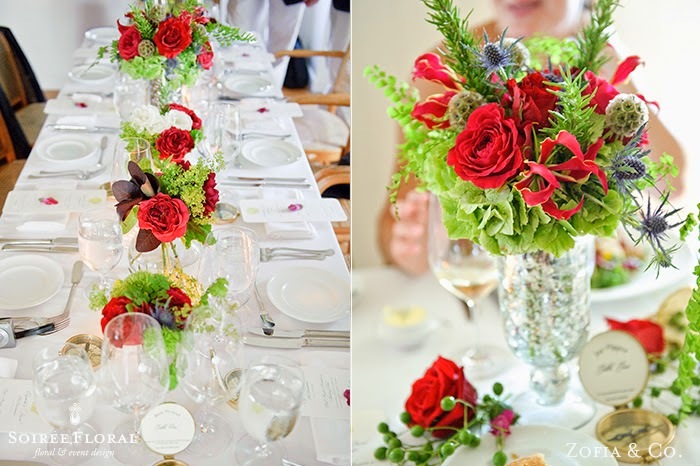 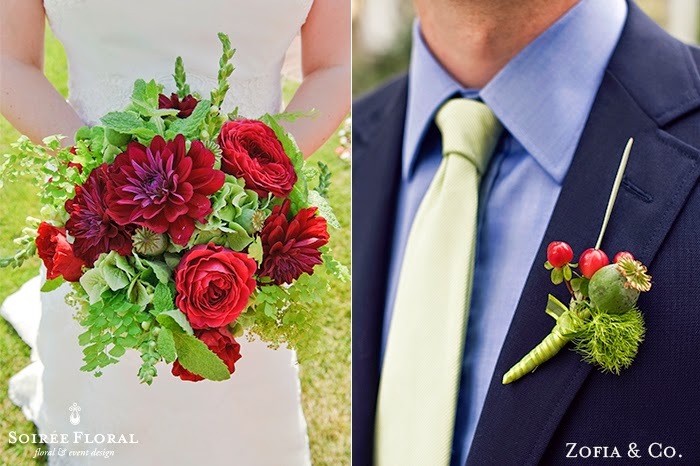 We loved working with such an unusual color palette for the month of July! 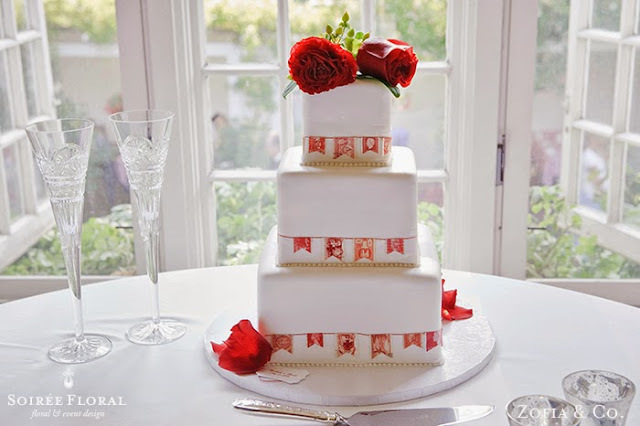 Shades of red and green with a hint of blue where threaded throughout every detail from the maid's dresses, their bouquets to the stamps that adorned the cake by Jodi's Cakes. Take peek back! 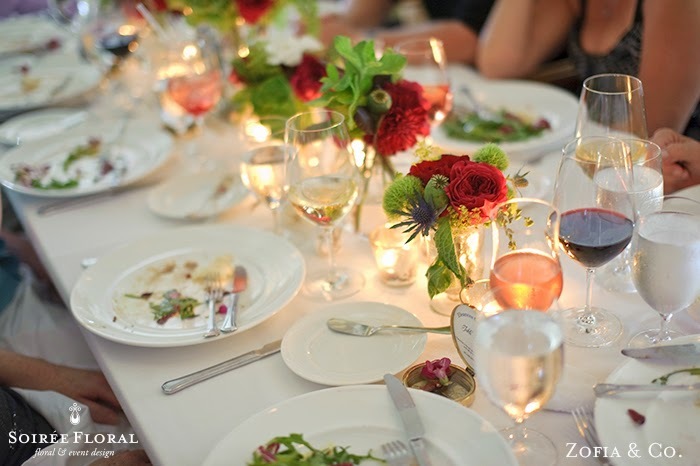 Happy Wine Fest! 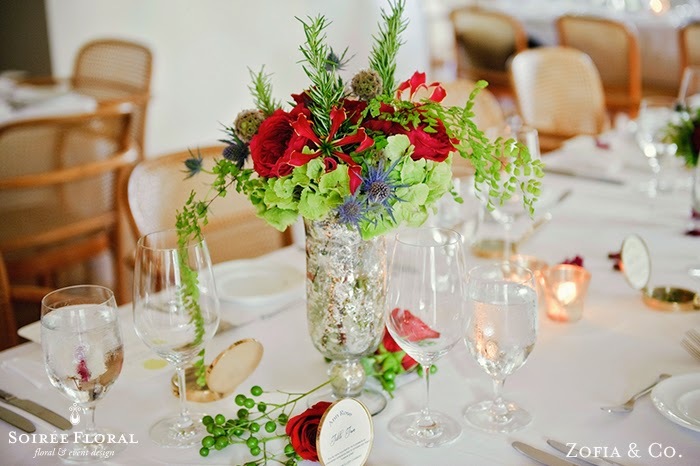 See more from this intimate wedding over on Zofia's Blog as well as Elizabeth Anne Deigns Blog! Labels: chanticleer nantucket, dahlia bouquets, garden roses, herb wedding, red wedding, soiree floral bouquet, weddings with silver accents, Zofia & Co.